The Advocate’s editorial board has a somewhat spotty track record regarding the quality of its columns, but this one nailed it. Recent declarations by 31 governors that Syrian refugees would be denied entry to their states (under dubious legal authority) because one of the attackers in the recent Paris bombings appears to have come from Syria shows the worst and ugliest side of American politics. Sadly, while we normally only see this kind of stupidity on the elephant side of the aisle, the jackasses got in on it too, with Democratic Governor Maggie Hassan of New Hampshire and our own Democratic gubernatorial candidate adding their voices to the chorus of fear and paranoia. This follows our current governor’s letter to the president demanding more information about the handful of Syrians who have been allowed into Louisiana; it seems that, for once, our current administrator was actually ahead of the game in ramping up the scare tactics about Muslim invaders. Kudos, I guess. Here’s the problem with all of this absurd hand-wringing: while the U.S. has long had (and continues to have) probably the most rigorous screening process for any migrants in any country in the world, the volume of immigrants fleeing persecution at the hands of ISIS in Europe means that such screening is virtually impossible. Is there a good chance that the attacker in question did indeed come to France from Syria? Yes, there is, but consider this: approximately 10,000 people pour onto the shores of the Greek isles every day trying to escape the violence and destruction in their homeland. 10,000 is the total number of people that the administration has agreed to accept in the U.S.
No other country shares America’s unique heritage of immigration and it is one of the ideals that defines us as a nation that we welcome immigrants, especially those seeking asylum from totalitarian regimes. Now Ted Cruz wants to have a religious litmus-test as a condition of entry to America. Cruz should be ashamed of himself for so many reasons, and this is just the latest of them. Our own state “leaders” should be equally ashamed for their blatant appeals, in this election season, to the very worst demons of our nature. In what will undoubtedly be hailed in future generations as a landmark decision, The Supreme Court of the United States ruled in favor of the plaintiffs in Obergefell v. Hodges, overturning as unconstitutional state bans on gay marriage, effectively making gay marriage legal across the country. While I’m disappointed in the fact that the decision was so close (5-4) and that the usual suspects are making their typical inflammatory comments (e.g., presidential hopeful Bobby Jindal, take your pick of random religious leaders), this is a bit of genuinely good news in a world that too often provides none. Kudos to the SCOTUS and congratulations to the gay, lesbian, and transgendered folks out there who will finally reap the benefits of equality under the law, at least in this respect. 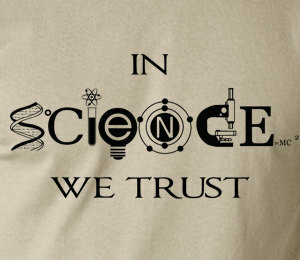 Science is a way of learning things about the world around us. Over the millennia, it’s done some pretty great things for us. It’s taught us how to control the flow of water, how to construct permanent dwellings, how to safely dispose of our own wastes (mostly), what the lights are in the sky, and that was just the beginning. In the last century-and-a-half, we’ve learned about how life evolved on this planet over the course of 4.5 billion years. In the last 50 years, we’ve learned about the greenhouse effect and how rising CO2 levels in the atmosphere, particularly as a result of human activities are wreaking havoc on the world’s climate. Over a slightly-longer interval, roughly the last 80 years, essentially one human lifetime, we’ve developed many of the medicines that treat the afflictions that plague us as a species. Among those medicines are the vaccines that we’ve used to treat everything from measles to HPV to hepatitis to polio. Many of these diseases have been essentially eradicated from the Western world, thanks to the pervasive use of vaccines to effectively immunize populations and prevent their constituents from getting sick and dying from the illnesses. Well, that was true until recently, anyway. By now, everyone’s heard about the measles outbreak linked to Disney World in Anaheim and believed to be the result of parents refusing to vaccinate their children with the standard MMR triple vaccine according to the prescribed schedule. Vaccine denialists, people who have convinced themselves despite all evidence to the contrary, that vaccines are harmful and cause diseases, are a bipartisan group: liberals who don’t trust “big pharma” and have been duped by listening to anecdotal evidence provided by parents of people with autism spectrum disorder make for strange bedfellows with conservatives who espouse small government and “parental choice” (a phrase which, from what I can tell, pretty much means whatever you want it to mean). However, it is uniquely right-wing Republican politicians who have made bold stands against the idea of mandatory vaccination: presidential hopefuls Chris Christie and Rand Paul have made statements, which they’ve made floundering efforts to walk back to some extent, regarding the need to vaccinate children against deadly threats. Presumed Democratic front-runner Hillary Clinton and current president Barack Obama, on the other hand, have made unequivocal statements in favor of vaccinations for all. What are we to make of this? As I said earlier, science is a tool that teaches us about the world around us. It’s a fact-finding construct so its insights are inherently descriptive but not prescriptive. As citizens we have to take the information science provides to us and make a simple calculus: do we accept its truth and adjust our policies accordingly or do we reject it (or cherry-pick it) in the hope of short-term gains despite what science is telling us? The far left and the far right have this in common: for different reasons, they don’t trust science or scientific consensus and are more comfortable with what their religious or alternative-medicine or celebrity authorities tell them. However, the far left is rarely represented in mainstream politics these days (despite what Rush Limbaugh would have you believe), while the far right has gotten louder and more accepted by mainstream right-wing politicians as the old GOP “big tent” seems to get ever tinier. We are seeing tangible and concrete evidence now of the consequences of cherry-picking science. People are getting sick and dying because they don’t understand the concept of herd immunity and how everyone getting vaccinated who physically is able to be vaccinated protects the entire population of those who may be exposed to a pathogen. Or perhaps they’ve listened to Jenny McCarthy, who insists that vaccines cause autism and that she was able to use a natural remedy to “cure” her child’s autism (if you’re wondering, there is no “cure” for autism). Or maybe they just feel that mandatory vaccinations are a “government overreach,” an intrusion into their private lives and personal choices–and they don’t want Obama telling them how to raise their kids. Ultimately, there are lots of rationales for making bad decisions, but it is a peculiarly Republican trait of prominent politicians to declare their solidarity with what most normal people consider to be fringe lunatics: vaccine denialists, climate change denialists, and creationists. Lest we forget, one of the newly-Republican-controlled Senate’s first official acts was to pass two resolutions: one that supported the idea that climate change is real and a companion piece expressing doubt that it is anthropogenic. These resolutions have no real meaning other than to give us a sense of the direction that Congress is heading on this issue: nowhere. With prominent climate-change denier James Inhofe (R-OK) now heading the Committee on the Environment and Public Works, there is little to no chance that we will see any significant action from this august body on this grave threat to humanity’s continued survival. The impact of continuing to seek out new sources of fossil fuels in lieu of seriously promoting renewable energy sources that do not boost atmospheric carbon levels won’t be seen in a few days, months, or years like the impact of lots of paranoiacs refusing to vaccinate their children, but the effects will be even more dramatic: mass extinctions, rising sea levels, melting polar sea ice, diseases and pests appearing and thriving further north than ever before are just some of the consequences of inaction that we can look forward to. Aside from looking like a bit of a relic from the Middle Ages, there aren’t many dire repercussions for not accepting biological evolution. The array of evidence for evolutionary theory is so diverse and compelling that you pretty much have to toss out all of science as a whole if you choose to dispute it. Nevertheless there is a certain small demographic of true believers that Republicans feel they must cater to in order to get enough votes to get elected. It’s disheartening that in the 21st century we are still standing people for the highest office in the land who reject the scientific foundations upon which our modern society is built. This story from NPR shows how the Republican candidates in the presidential primary responded to questions about climate change and evolution in 2012. Among this entire crop of presidential wannabes, only Jon Huntsman took the controversial position that evolution and climate change are real phenomena. It seems increasingly likely that we can expect a repeat performance for 2016. While many moderate Republicans have been quick to repudiate the more bizarre and unfounded assertions made in recent weeks regarding the safety of routine vaccinations, these two touchstones of conservative Christian outrage are not so easily dismissed by those who wish to survive the crucible of Iowa and New Hampshire. And so they will try to have it both ways, like our esteemed Governor Jindal, who took a break from releasing self-aggrandizing press releases critical of the president long enough to declare his support for the science behind vaccines; this is of course, the same Jindal who has long supported the Louisiana Science Education Act, which attempts to muddy the waters in public education surrounding the topics of evolution, climate change, and, for some odd reason probably known only to his puppet masters in the Louisiana Family Forum, human cloning. Indeed, Paul at least appears to be trying to make political hay from his irresponsible statement that he knew of “walking, talking, normal children who wound up with profound mental disorders after vaccines.” He later tweeted a picture of himself receiving a booster shot and remarked snarkily that he wondered “how the liberal media will misreport this,” implying that that eternal Republican boogeyman, the Liberal Media aka The Main Stream Media aka The Lame Stream Media, had somehow mischaracterized his own words. Paul, who loves to tout his credentials as a physician (ophthalmologist) on the campaign trail, knows damn well that his statement above was intended to imply causation not merely correlation and that the average layperson would interpret those remarks in just that way. It’s as cynical and naked a political ploy as anything I’ve seen in some time: he scores points with the vaccine denialists by throwing them a bone about autism and quickly disavows his own remarks by blaming those “misreporting” ne’er-do-wells, the Media, thereby currying favor with the more moderate elements of his party who are all for vaccines but definitely don’t trust reporters. So all of this brings me to my point: how is Republican science different from science? Well, it’s necessarily incomplete because they hold science hostage to the interests of various factions from whom they are relying on some kind of largesse, be it votes or the money with which to buy more votes. Acceptance of anthropogenic climate change would displease the oil and gas companies that funnel billions of dollars of campaign contributions into the cesspit that is our political system. Acceptance of the fact of evolution would displease the voting bloc of archconservative Christians still convinced that a bearded man in the sky individually crafted them and brought the world into being ex nihilo 6,000 years ago. Acceptance of the fact that vaccines prevent outbreaks of highly-preventable but highly-contagious diseases. . . well, no matter what the shrill vaccine denialists screech about thimerosal and Big Pharma’s price-fixing, it’s getting harder and harder to justify that position in light of recent events. Here’s the bombshell, once and future kings of America: science isn’t a country buffet, where you can pick what you’re comfortable with and fits with your preconceived notions or those to whom you owe some manner of allegiance. Governor Jindal, how do you think we understand that vaccines work? Use that Brown education. The answer is that we learned about the way that viruses and bacteria evolve in response to changes in their environments (yes, I said two “e” words in one sentence). I agree with one thing you said not that long ago: the Republican Party needs to stop being the “party of stupid.” Perhaps you could start leading by example. It would make a refreshing change. I was very disappointed to learn last week that the president had authorized a military re-engagement in Iraq. I know in some sense we’ve never really left any of the countries we’ve had armed conflicts in, as we seem to have military bases scattered all over the world in really peculiar places from a 21st-century perspective; it is nonetheless disheartening that this president who seems to pride himself on having drawn down our remaining forces in Iraq and Afghanistan publicly, while engaging in a covert drone war that is essentially Bush’s War on Terror 2.0, is ready to begin a new campaign of airstrikes in our old quagmire. Look, I know that Republicans want America to flex its muscles any time a pretty girl walks down the beach or a bully starts kicking sand in the bespectacled eyes of a Euro- or Middle Eastern nerd, but there’s no point in doing any of this to satisfy the administration’s war-hawk critics if for no other reason than that it won’t. Those critics have made it abundantly clear now, six years into Obama’s presidency, that there is no action that he could take in either domestic or international quarters that would be the right action. If Iraq is destabilized and eventually taken over by ISIS, they will claim this is because of his early withdrawal of forces and that we failed to provide sufficient logistical or “boots-on-the-ground” support to the central government. If ISIS ceases pushing into unoccupied sections of Iraq in order to consolidate its gains on a temporary or permanent basis, they will declare that we should move quickly to take back Fallujah and Mosul from the “terrorists.” In any case, they will always blame anything that goes wrong on Obama’s alleged failure to project America’s strength throughout the world the way that <insert your favorite Republican candidate or former president here> would have done. So we can safely ignore that nonsense. What about America’s “you broke it, you bought it” responsibilities? It should be abundantly clear to anyone who’s been paying even the slightest modicum of attention over the last 11 years that America’s nation-building efforts in the Middle East have been and will continue to be a colossal failure for a variety of reasons. The bottom line is that while we do bear some responsibility for the present state of Iraq, being the fragmented country that it was since the Allies drew its lines up after World War II, after we destroyed its infrastructure and the strong central government and replaced it with basically nothing. However we cannot seriously expect that another military engagement will result in anything other than more death, more destruction, and more misery for Iraqis. All we have to do is look at what happened in Bosnia to see how truly effective a campaign of airstrikes is for effecting political change. We would also do well to remember that the term “smart bomb” is a terrible oxymoron and however much we might like to pretend otherwise no airstrike will ever attain the precision that can be achieved with the physical presence of soldiers on the battlefield in a war zone. When we say that we’re using targeted airstrikes to destroy our enemies, what we really mean is that the lives of our soldiers are more valuable than the lives of the citizens that live in the countries of our enemies. That is an appalling calculus to make. I wish there were a voice of reason in Washington, someone who would stand up and say, “There is nothing to be gained by taking half-measures and pretending that this makes us somehow better than everyone else.” War is not the answer because this is a civil war, albeit one being directed from across the Syrian border. If we intervened in every civil war across the world we could do nothing else–and we would be held accountable for the next tyrannical regime that would inevitably emerge from such a conflagration. It’s not isolationism to recognize that we have never been and never can be “the world’s policeman.” While I see no harm in unilateral humanitarian missions, there simply is no dividend from repeating Clinton’s mistakes of the 1990s. Between the initial draft of this post and its imminent publication, America has apparently committed to putting combat troops on the ground in northern Iraq and staging relief efforts from an airfield located in the same area. The news gets worse and worse.